This beautiful outdoor post light is a wonderful addition to the exterior of any home. Features a textured matte black finish and seeded glass panels. 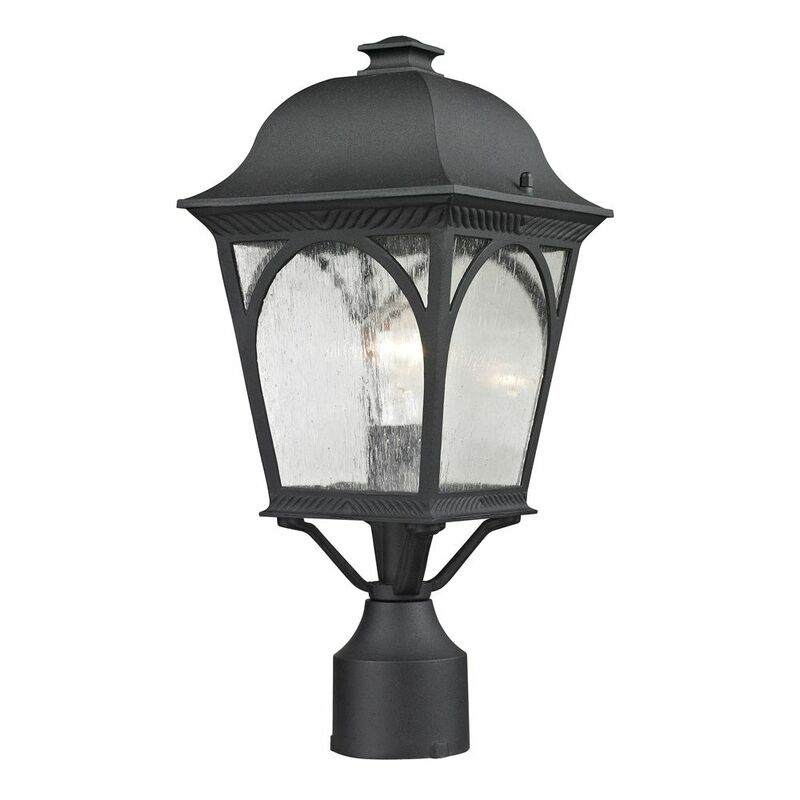 The RYDER Collection of outdoor lighting features a classic black finish paired with seeded glass. This 3 light post lantern will fit perfectly in any outdoor space. This outdoor post light features a graceful design with clear glass panelling and metalwork finished in hazelnut bronze. Outdoor Post Lamp In Matte Textured Black This beautiful outdoor post light is a wonderful addition to the exterior of any home. Features a textured matte black finish and seeded glass panels. Outdoor Post Lamp In Matte Textured Black is rated 5.0 out of 5 by 1. What size (Diameter) of pole does it sit on? does this price include the pole? The item is sold as a post light only, the pole is a separate item to order. Please see accessories for poles.